Phew, we escaped the worst of the WannaCry cyber attack last month but was it a case of good luck or good management? 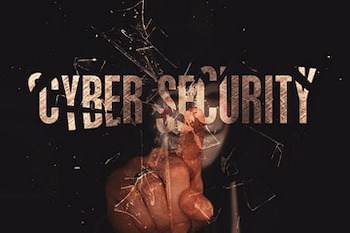 Although we may be thousands of miles away from some of the biggest threats in the world today, when it comes to cyber threats, thanks to technology we may as well be next door. WannaCry gave us a wake-up call and we all need to take notice. The WannaCry malware infection brought large corporations and public service institutions to their knees in an instance - hundreds of thousands of computers in 150 countries in just one weekend. So even if you escaped this attack, will you escape the next? Here’s how to protect your business, your customers and their data from cyber threats. Protect your computers with antivirus software and antispyware, and keep them up to date. Software providers provide patches and updates in response to security issues. To ensure you are protected, configure your software to install these updates automatically. Be careful when opening emails and clicking on links. Be particularly wary of compressed or ZIP files. Don’t forget, infected messages can still come from people you know. Run an antivirus through external devices such as USB drives before installing them on your computer. Keep your Internet connection safe by using a firewall and encrypting information. If you operate off a Wi-Fi network, make sure it is hidden and password-protected. Change your password regularly. Back up your important data regularly and store it somewhere off the network, such as in the cloud or on hard drives. Control physical access to your business’s systems and set up user accounts for staff. Require employees to use strong passwords and change them often. Mobile devices are also vulnerable to cyber attacks. Ensure all business devices are password-protected and install security apps that provide protection when using public networks. Educate your staff. No matter how careful you are, all it takes is one click from anyone with access to your systems and you could be in a whole world of trouble. The theft of digital information is now one of the most commonly reported types of fraud, surpassing even physical theft. Small businesses can be vulnerable as they have fewer layers of protection and not as much in-house IT expertise. However, just like you protect your home with locks and keys, with the right cyber security measures in place, you can be confident your business will withstand an attack on its digital systems.